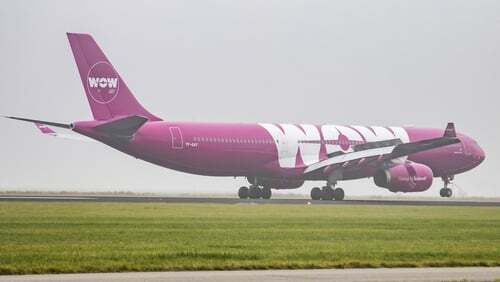 The Commission for Aviation Regulation has issued some advice for passengers impacted by the collapse of Wow today. The regulator said that if a person had bought their ticket using a credit or debit card, chargeback may be an option and the card provider should be contacted for further details. If a consumer had taken out travel insurance, this may include airline failure cover usually known as Scheduled Airline Failure Insurance (SAFI) and the insurance provider should be contacted for further details. If the Wow flight was booked through a code share partner of the airline (or booking agent), the regulator said these should be contacted directly. If the Wow ticket was booked part of a package, passengers are urged to contact their travel agent or tour operator directly. The Commission said that some airlines, including Aer Lingus and Ryanair, offer rescue fares in certain circumstances. It also urged people not to travel to the airport unless they had booked alternative flights. Icelandair said it would offer discounted flights for those stranded in Europe or North America.